I’m delighted to confirm that Boaz Fyler will be coming to the Greek Island Summer School this year. 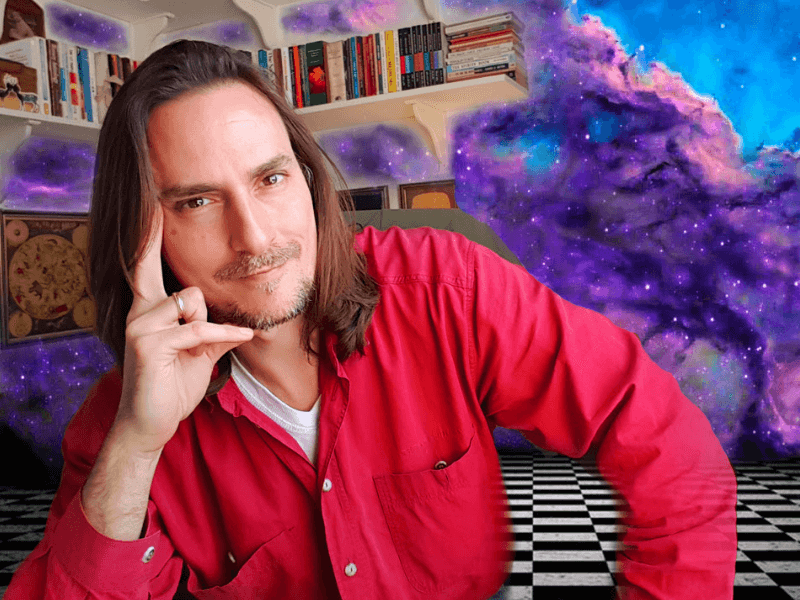 It’s a wonderful opportunity to work with him and gain new personal and professional tools by discovering a whole new astrological perspective – the evolutionary perspective. This unveils our soul’s journey through different lifetimes and, consequently, the wisdom and acceptance it provides us in our present life. This Evolutionary Astrology course is suitable for intermediate students and refreshers. Boaz Fyler is an Evolutionary Astrologer. He lives in Tel Aviv with his wife and daughter and is the Israeli representative for OPA – The Organization for Professional Astrology. He has previously sat on the OPA board and served as their global community & outreach director. Course fees include tutor fees, refreshments and taxis to and from your hotel. Lunch is extra: at 10 Euros per day for a delicious buffet lunch. The Evolutionary Astrology course comprises four study days in the week. Boaz’s philosophy from the viewpoint of evolutionary astrology is that we are all souls within bodies – souls that have been here before and will come back again. When we look at the Natal chart we look at it as a CV, a Curriculum Vitae of our souls journey, its strengths and weaknesses. We explore why are we here and what have we come here to learn this time around? Boaz’s work focuses on how this knowledge brings us strength and comfort, reassuring us that our struggles and suffering are not arbitrary and that we have in fact always been “on our road”. This course is suitable for all levels but with a minimum requirement of any kind of beginners course i.e. familiarity with the basic symbolism of the signs and planets. Boaz will also be available for a limited number of private consultations during the week – first come, first served! Regular tea, coffee and water is included in the course fee. Please bring along your choice of infusion or special diet items. Lunch break is one hour. You can opt-in to the buffet lunch provided by Joanna. This includes a selection of salads, cold meats, cheeses, quiches and more. Special dietary requirements are taken into account – simply email Joanna with your preferences. Or if you prefer, you could bring your own food. There is a 15 minute break in the morning and another in the afternoon.